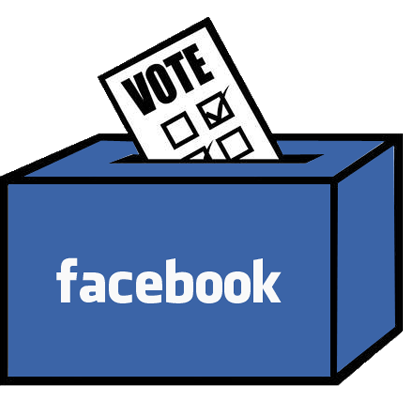 New Delhi, Nov 7: Social networking major Facebook on Monday said that it will encourage its users in Gujarat and Himachal Pradesh to participate in this years state elections. The social networking major said that it will collaborate with the offices of the Chief Electoral Officer of Himachal Pradesh and Gujarat respectively. As part of this collaboration, Facebook will "promote a reminder" in people's "News Feed" on three different polling dates -- November 9, December 9 and December 14 -- to help educate users in Himachal Pradesh and Gujarat on the upcoming state elections and encourage them to take part in it. According to the company, the reminder will help encourage participation in the upcoming state elections, and will be run in conjunction with the campaign run by the offices of the Chief Electoral Officers of Himachal Pradesh and Gujarat to encourage people to vote. "Providing a platform that enables direct interactions between governments and their citizens is an important part of Facebook's mission to give people the power to build community and bring the world closer together," said Nitin Saluja, Politics and Government Outreach Manager, Facebook India, South and Central Asia. "With more than 200 million people on Facebook in India, Facebook is an important place for people to learn about, talk about, and get involved with the issues that matter to them. We hope that our collaboration with the office of the Chief Electoral Officers makes it easier for the people of Himachal Pradesh and Gujarat to participate in their state elections."